Credit repair and getting out of debt go hand-in-hand. After all, your level of debt affects 30% of your credit score. 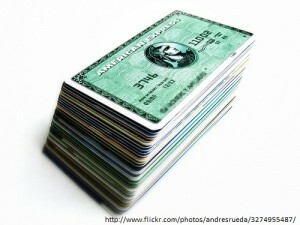 The higher your credit card balances are compared to their credit limits, the more your credit score will be hurt. Similarly, when your loan balances are high compared to the original loan amount, your credit score takes a hit. This ratio of debt to credit limit (or loan amount) is known as credit utilization or how much of your available credit is being used. While paying down debt will repair your credit score, you must make sure you’re paying off debts in the right order. Otherwise, you’ll be lowering your debt, but your credit score could go up only a little. To figure out which debts you need to pay off first, it helps to consider how your credit score looks at your level of debt. Since higher credit utilizations hurt your credit score most, you should focus on lowering your credit card balances for all credit utilizations over 30%. 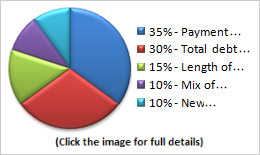 Figure out the credit utilization for each of your credit cards. 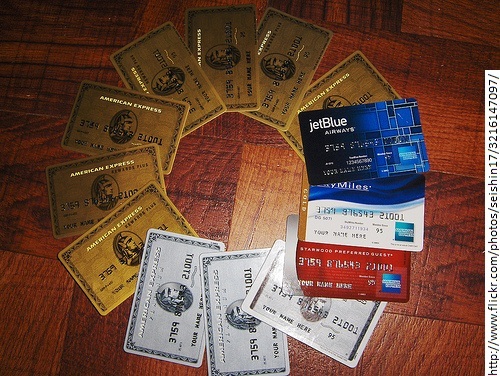 To do this, divide your credit card balance by your credit limit. For example, if you have a credit card with a $500 limit and a $300 balance you would do this calculation 300 / 500 = 0.6 or 60% credit utilization. Let’s say you also have a credit card with a $600 balance and a $1,500 credit limit, the credit utilization for that credit card is 40%. If you were focused on paying off the two credit cards above, you might start with the $600 credit card balance because it’s the highest. However, that credit card has the lowest credit utilization. It would be most helpful to pay down the $300 balance to at least $150, then the $600 to at least $450. 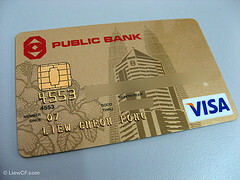 That would bring your credit utilization for both cards to 30% for each credit card. After that point, you can work on paying off whichever credit card you choose. While high loan balances do affect your credit score, they don’t have as severe of an impact on your credit score as credit card balances. If you have both credit card and loan debt, focus on bringing down your credit card balances first. Then, you can continue repairing your credit by paying on your loans. It’s better to make lump sum payments on a single debt than to spread your higher payments among all your debts. In other words, you should put your extra $150 toward a single debt instead of paying an extra $25 to this debt, $50 to that debt, and $75 to another debt. You’ll get rid of debts faster by paying lump sums on your debts. Even though you’re paying a lump sum on one debt, you should continue making minimum payments on all your other debts. Missing your minimum payment will hurt your credit score and set back your credit repair progress. As you prepare to get your credit back on track, you undoubtedly have some questions about credit repair. Where should you start? What should you repair? Are those credit repair ads really true? Read on to get answers to some common questions about credit repair. When you are working to repair your credit, you need to counteract the negative impact of poor credit with more positive information. If you are recovering from a personal financial setback that has caused credit problems or if you have yet to establish a credit history for yourself, you need to pump some positive into your financial situation. While repairing credit is not an overnight task, you can improve your credit score by large margins over a period of time if you practice consistency and follow through in your repair efforts. With the recent fallout of credit card debts, many consumers feel that credit cards are the root of all evil and credit repair will fix that. But in a twist of the old cliché, credit cards don’t spend themselves. It is the consumers’ lack of budgeting and the lack of knowledge as to how credit works that has gotten many into hot water. Since I’m a relatively new blogger, I’d like to take the time to honor the sites that I’ve drawn on for inspiration over the past months while writing about credit repair. These blogs all incorporate very unique voices to offer clever and passionate musings concerning personal finance, and life in general. Scattered throughout this list are the top sites for general personal finance advice, as well as a sample of those devoted to specific money management topics and targeting particular demographics. I don’t know how much the number order matters…the last blog on the list is certainly as helpful as number 1! It is human to make a mistake but if your mistake was not paying your credit card bills on time or defaulting on a loan, the mistake can follow you around for another decade or longer. Having poor credit scores is limiting to your financial abilities. You will not be approved for new lines of credit and you may even find you are paying higher premiums for your car insurance. While no one is completely sure of the mathematical equation used to calculate credit scores, it is certain that the way you pay your bills has a big impact on your credit score. If you are 30, 60, 90 days or more late with payments on bills that report back to the credit bureaus, you will see a drop in your credit scores. If you are consistently late, you risk having accounts closed and the negative information being reported on your credit reports for years to come. It is never too late to start getting on track. Automate your payments to make it less likely you will be late or miss making payments. Over a six month time period of perfect bill-paying, you can see an increase in your credit score. If you want to improve your credit score and history, stop overspending on credit. If you max out your credit cards or take them over the credit limit, it will drop your score. By rights, you should never charge something you can’t afford to pay in cash but obviously this is not always the case. To help improve your credit, use your cards for purchases you are sure you can pay off in full each month. Paying the full balance will boost your score and keep your credit positive. Don’t spend more than you have on credit and keep a personal budget to make it easier to pay cash for things you need. You may have idea what your credit report contains but ideas in this case do not count for much. You need to order copies of all three of your credit histories from the major reporting bureaus Equifax, Experian, and TransUnion. Every individual has the right to receive one free copy of each annually. You can also get a free report for up to 60 days if you have been denied credit. These reports do not include your credit score (you must pay an extra fee to include the score) but they probably contain a handful of mistakes and incorrect information that negatively affects your credit score. When you receive each report, go over every single line of information and check for accuracy. Any information that is not correct should be reported back to the credit bureau using the online or printed forms provided. The bureaus are required to investigate all reported inaccuracies and if the creditor does not cooperate, the information may be dropped from your report. Since you can get an annual report for free, consumers should make a habit of checking their reports at least once a year. You might be surprised to learn how a small mistake can cost you big time credit score points. If you are working on settling outstanding debts, know that you can do it on your own with the assistance of a high-priced credit repair agency. 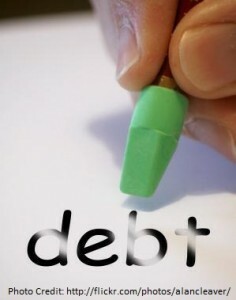 Contact your creditors directly to negotiate the debt owed and how the results will be reported to the credit bureau. In most cases, creditors want to get their money so they are willing to work with you. If you ignore creditors, you likely will not get much cooperation. When you negotiate your repayment schedule or a total payoff of the debt, also request that the creditor report back to the credit reporting bureaus that the account is in good standing and paid in full. Not everyone will be willing but you will never know if you don’t ask. Again, repairing your credit will not happen overnight. It is an on-going process that takes time and patience. The most important lesson is that all consumers learn from their past mistakes and avoid repeating history time and again. Once you begin to notice an increase in your credit scores, keep doing what you are doing in handling your personal financial matters. By staying on task to getting out of debt and improving your credit score, you will reduce the risk of having to rebuild bad credit down the road. Having good credit will afford you the best deals, the best interest rates, and financial stability now and in your future. When I got my first credit card I thought that building a good credit history is about using your card as much as possible and paying on time. How could I’ve been so wrong? Months passed and I was spending about 80-90% of my credit limit and paying it once I receive each statement. Spending a lot should have made the bank some money because they get paid when you use a credit card and paying my full statement on time must have left the impression that I am financially stable. But is this how the credit card companies feel about it? I didn’t have any reason to be interested in my credit score so I had no idea what it was. Soon I decided to get my first cell phone plan. I got rejected immediately because of low credit score. How could this be? I was such a good customer – spending money and paying on time… I decided to ask people who have had credit cards for years and enjoy excellent credit scores. I received a lot of advice including… “Do not pay your entire statement every month. Let them take some money from the interest so they can be happy too.” And this is what I did. Wrong again! It took a lot of research, digging into hundreds of websites and even paying for some credit advice services to learn all that I have learned so far. My biggest mistake was my initial idea that spending money on the credit card will shoot some money to the credit card company and make them happy. Well it won’t! In reality, you need to spend less than 15% of your credit limit to get a good credit score, at least in the first few years. The credit score calculation is complex. It takes many factors and a resource like Credit Repair.org is exactly what people need. We will keep posting vital credit repair advice and hopefully you will start seeing results as we go!